Are you a life science researcher at the University of Alabama, Birmingham interested in any of the following? Connecting with industry professionals to get answers to you research technology questions? Establishing new contacts and maintain and grow existing professional relationships? 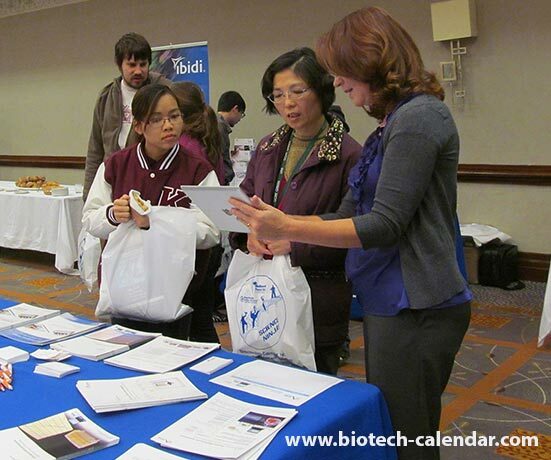 Attending a FREE event where you can meet with reps from different lab supply companies to find new products and technologies to help with your research? Indulging in a FREE lunch from a buffet of delicious foods including sandwiches, pizzas, bagels, coffee, and lemonade? Any life researchers, PIs, lab managers, post-docs, grad students, purchasing agents, and other lab staff who answered "Yes!" to any of these questions are invited to attend the upcoming 16th Annual BioResearch Product Faire™ Event in Birmingham coming up on November 12, 2015. This popular, annual event gives researchers the opportunity to connect with sales representatives from dozens of different lab supply companies to discover the best and newest products that are available to use in labs and help further life science research. Take a break from your research and come out to the event to see what's new in the world of life science supplies, get your questions answered, learn about new options available, and collect informative literature from different companies to bring back to your lab. Learn about new lab supplies and technologies that are available to help further their work. Meet with companies who already supply your lab to see what new products they have available and discover new companies that have supplies that will benefit your lab work, or have supplies you never knew you needed but that will come in handy in the future. Compare products, prices and brands to learn about what products best fit your needs and funding. Express product concerns, ask questions, and get quick responses. Save lab time in the future by meeting with numerous lab suppliers in one place, instead of meeting with them individually in your lab, while you're trying to work. 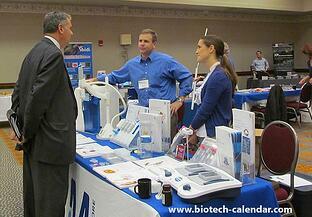 Schedule equipment demos with companies from the event so your lab can decide what equipment is the most needed. Network with fellow researchers from different departments and buildings across campus to learn about other research being conducted at your university. Connect with industry professionals with access to decades of life science knowledge and education, and establish new professional contacts for your future. 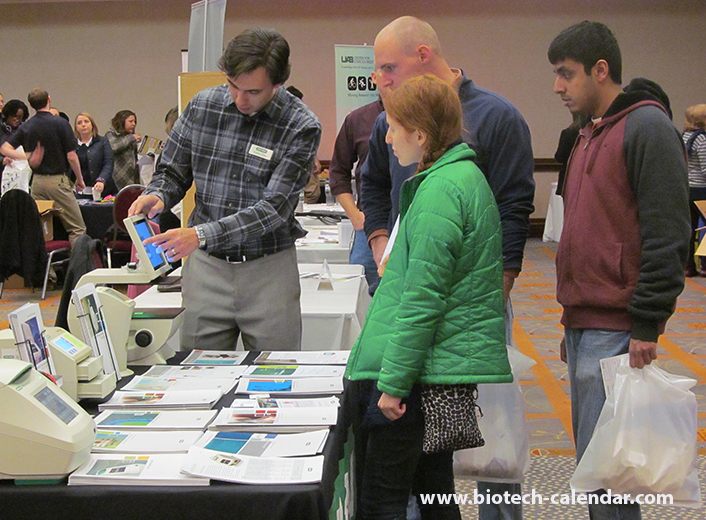 At the 2014 BioResearch Product Faire™ Event in Birmingham, more than 300 researchers attended to learn about the newest tools and technologies available for use in their labs. These researchers represented 24 different research buildings and 32 on-campus departments. 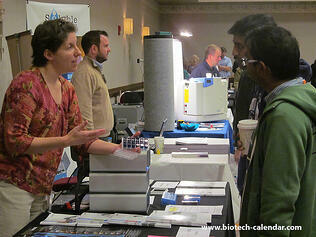 Along with providing life scientists with a fresh perspective on challenges they are facing in their research, the 16th Annual BioResearch Product Faire™ Event networking with other researchers and sales reps, and enjoying a complimentary and fully catered breakfast and lunch buffet. Lab supply companies interested in displaying their products to researchers in the multi-million dollar Birmingham science marketplace are invited to visit the following link to learn more about participating in this upcoming November event.